As huge of an advertising juggernaut as the NFL is, commercials starring NFL players often feel interchangeable. 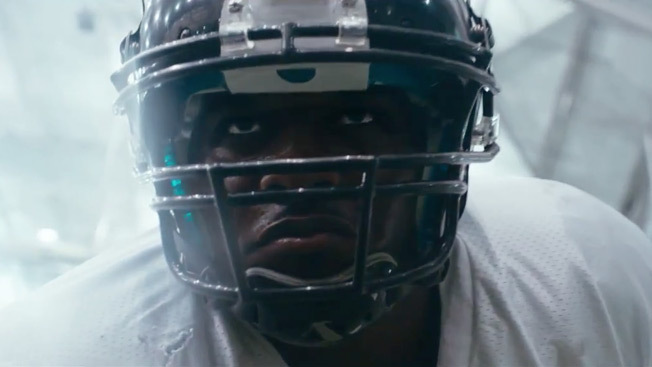 Here, though, is a great piece of work from Duracell starring Derrick Coleman, the 23-year-old Seattle Seahawks fullback who happens to the be the first legally deaf player to be part of an NFL offense. Bravely narrating the ad himself, Coleman tells his own story of being picked on as a kid, being told he could never make it—and being passed over by the NFL draft. "They didn't call my name, told me it was over," he says. "But I've been deaf since I was 3, so I didn't listen." That's a great line. The tagline: "Trust the power within." Coleman seems enamored with that line. He tells the Sporting News of his Duracell deal: "They came to me, and said they liked my story, and I said OK, I want to join up. I just hope to inspire people, especially children, to trust the power within and achieve their dreams." Agency: Saatchi & Saatchi, New York.